Mariah Brings and Michael Swearingen were crowned Homecoming King and Queen on Monday night. Coronation took place a week of following the announcement of the 12 seniors that were nominated by their classmates to be part of the 2012 homecoming candidates. 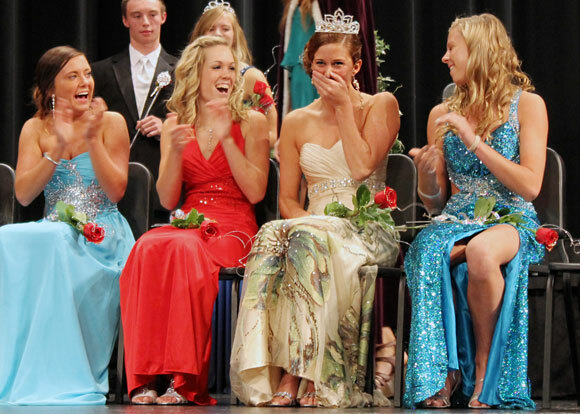 Six girls in beautiful dresses, all held hands as they waited to see who is picked for runner up and homecoming queen. 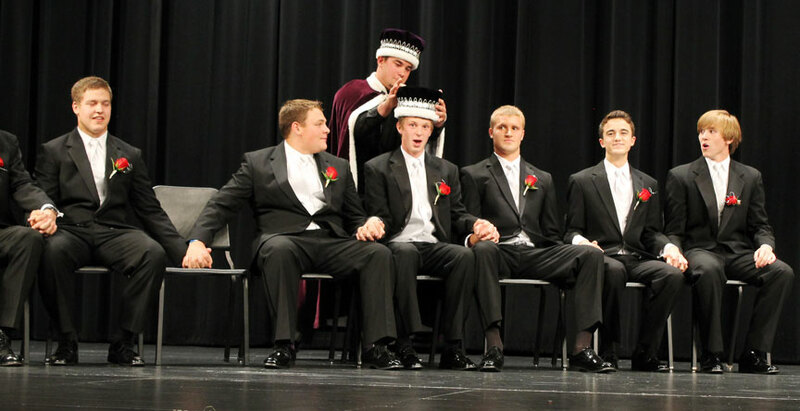 Six men in black tuxes sit there awaited the runner up and homecoming king to be picked. 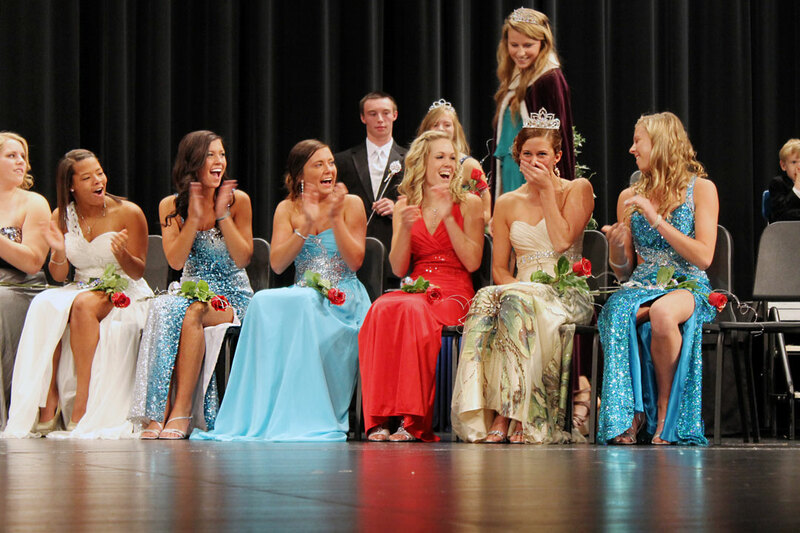 During the first 20 minutes, last year’s king and queen, Tyler Burg and Kenzie Ross, got seated as well as the junior royalty, Koben McCallum and Aubrie Guida, sat down, live music was preformed. A slide show of the nominee’s baby pictures and senior pictures played and then the runners up for king and queen were chosen, Joe Neumann for runner up king and Hope Mueller for runner up queen. 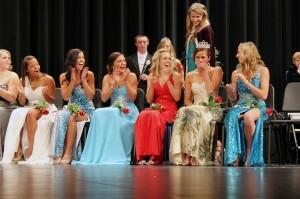 After the crowd applauded and the music played the rest of the nominees sat there wondering who will get king and queen. After the long wait last year’s Ross placed the tiara upon Mariah Brings head. “I was so shocked but it was awesome,” said Brings. “It feels good to know the school likes you, I was just so happy to even be nominated”. 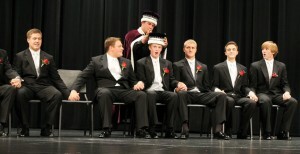 Burg placed the crown upon Michael Swearingens head. The rest of the nominees had so much support and good spirit for the king and queen. Should students have to pay for parking passes?